Dr McGovern is Medical Director of the Priority Medical Clinic, a private addiction treatment programme located in South County Dublin. He qualified in Medicine in 1995 from Trinity College Dublin and has worked as a GP specialising in the treatment of Addictive Disorders since the implementation of the methadone treatment protocol in 1998. He is ICGP Level 2 accredited in the treatment of opiate use and also treats drug users within the HSE Addiction Services, a position he has held since 1998. He has a caseload of over 300 patients with a range of addiction problems. He received his specialist addiction training in the UK and holds a Master’s degree in Clinical and Public Health Aspects of Addiction from the National Addiction Centre, King’s College London and is a diplomate of the International Society of Addiction Medicine (ISAM). ISAM certification is an accreditation examination for physicians specialising in Addiction Medicine worldwide and is the international equivalent of the American Society of Addiction Medicine (ASAM) Board exam. Dr McGovern is a founding member of the subcommittee for the Continuing Medical Education of General Practitioners specialising in Substance Abuse (GPSSA). He is also one of the first members of the International Doctors for Healthy Drug Policies (IDHDP) which is an international group of medical addiction experts aiming to promote sensible drug policies. 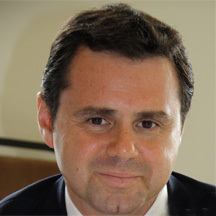 He is a member of the board of directors of Europad, (European Opiate Addiction Treatment Association). He is a regular contributor to the medical and mainstream media on addiction related issues and peer reviews research articles prior to publication. 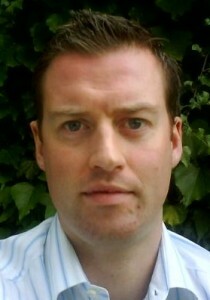 Stephen has been involved in both the study and practice of Psychology for the last thirteen years. In that time he has obtained a B.A. Psychology and an M.Sc. Counselling Psychology from Trinity College Dublin. Mentoring Programme, St. Catherine’s Community Counselling Service in Tallaght and the Psychiatric Liaison Team at the Meath & Adelaide Hospital. Since 2008 he has worked with the ISPCC’s Teenfocus Service which engages with families in need of support to help them achieve the goals and breakthroughs that they have been hoping for. In his own words he says of his chosen career, “I am very privileged to work in an area that I love and I am glad that I can be of help and service to others in the process”. Elaine Scott is a complimentary health therapist some of her therapies include; Acupuncture, Traditional Chinese Medicine, Reflexology, Remedial Massage, Aromatherapy, Diet and Nutrition and Indonesian and chavutti yoga treatments. She encompasses holistic health disciplines which use non-evasive techniques which combines Eastern medicine philosophy with Western understanding of anatomy and physiology and works to promote physical, mental, emotional and spiritual health. Whilst aiming to identify the factors blocking the body’s natural healing processes such as stress, allergies, nutritional deficiencies and specific emotional and addictive issues. Combining a wide range of natural treatments sets the stage for the body to repair itself and maintain optimum health and homeostasis. Louise was born in Dublin, and having lived in the UK for several years, now lives in Enfield, Co Meath with her husband and three children. She has a degree in counselling and psychotherapy and specialises in the areas of addiction and bereavement and has volunteered and worked in the caring profession since 1990. She also works part time as a designated addiction counsellor in a centre which works with referrals from GP’s in the surrounding counties of Kildare and Dublin. She is a member of the IAAAC (Irish Association of Alcohol & Addiction Counsellors) and the IACP (Irish Association of Counsellors & Psychotherapists), working with a code of ethics which ensures the highest level of confidentiality and care. Louise’s counselling approach is person centred, humanistic and integrative, working with individuals with an attitude of compassion, integrity and respect. Her goal is to encourage insight into repeating patterns of behaviour that may be preventing those struggling with addiction from leading fulfilling and satisfying lives. 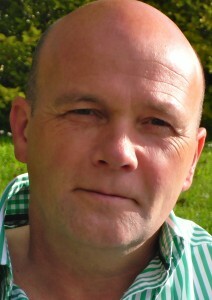 Fergus is Behavioural and Cognitive Psychotherapist and a registered mental health nurse (RMHN). He is on the register of an Bord Altranais (the Irish Nursing Board). He holds a BA (Hons) from NUI Maynooth and was awarded an MA in Behavioural and Cognitive Psychotherapy by University College Cork (UCC). He has almost 30 years experience in working in adult mental health and has also worked for the past 5 years with teenagers. The main model he uses is cognitive behavioural therapy but also uses a person centred and motivational approach. He works with a wide range of issues including addiction, anxiety, depression, obsessive compulsive disorder (OCD), self-esteem, post traumatic disorder (PTSD), anger management and panic attacks. 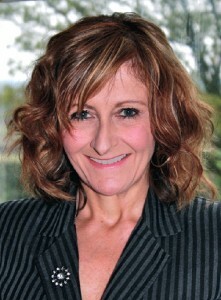 Linda has a degree in Counselling and Psychotherapy and holds a Master Degree in Addiction Studies. Having changed careers in the last 7 seven years Linda believes that compassion, empathy and patience can impact on the client in a way that allows them time and space to focus on what they might be holding onto from the past, where they find themselves today and where they wish to go in the future. Her main aim is to have a practical impact on the way the client can help themselves. She works from an integrative person centred approach and works in many areas such as anxiety, trauma, meaning, low self esteem and family influence. She is a member of the Irish Association of Counselling and Psychotherapy, (iacp) and sits on the complaints committee of the Irish Association of Alcohol and Addiction Counsellors,(iaaac). She also works out of Edenville Counselling and Psychotherapy in Dublin City Centre where issues such as bereavement, addiction, coping with change and relationships are worked through with clients. 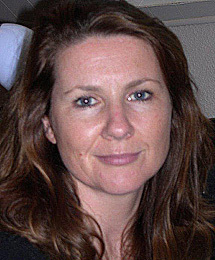 She also teaches the Diploma in Counselling and Psychotherapy in Griffith College Dublin.